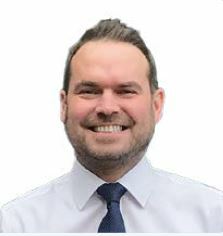 I am pleased to announce the appointment of Chris Moore to the position of Commercial Manager with effect from 1st April 2019. Chris has been our Operations Manager since May 2017 and has been responsible for internal sales as well as key developments in moving our website and e-procurement business forward. In this new role, Chris will take responsibility for the day-to-day sales operation of the Company, including the management of the field sales team. Appleton Woods is committed to maintaining a technical sales team, with our sales representatives visiting customers to discuss and understand their requirements fully. We are continuing to strengthen this team and will have some further appointments in this area to announce shortly. Jared Jones recently left the business to pursue other opportunities and as a result, I will be overseeing all Sales and Marketing activity for the near future. If you have any ideas or suggestions about how we can improve in this area, I would love to hear from you.